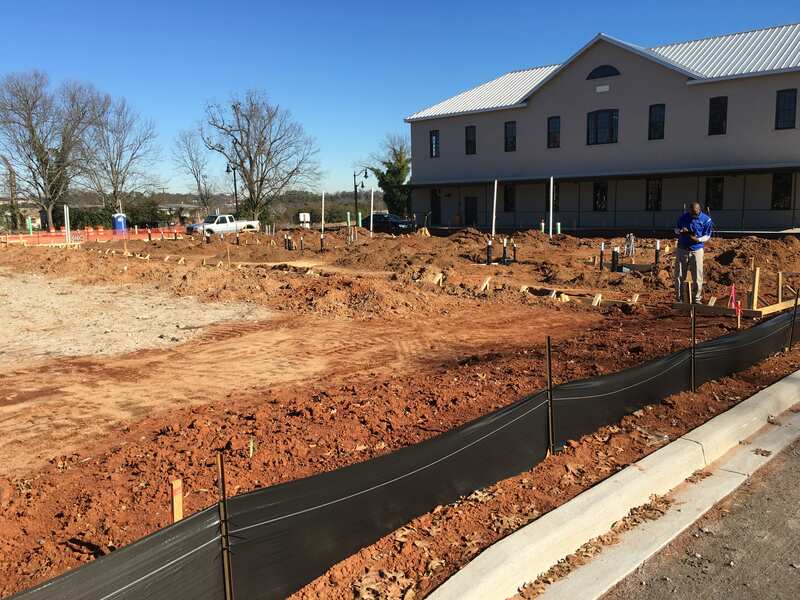 TownPark at BullStreet Now Under Construction! 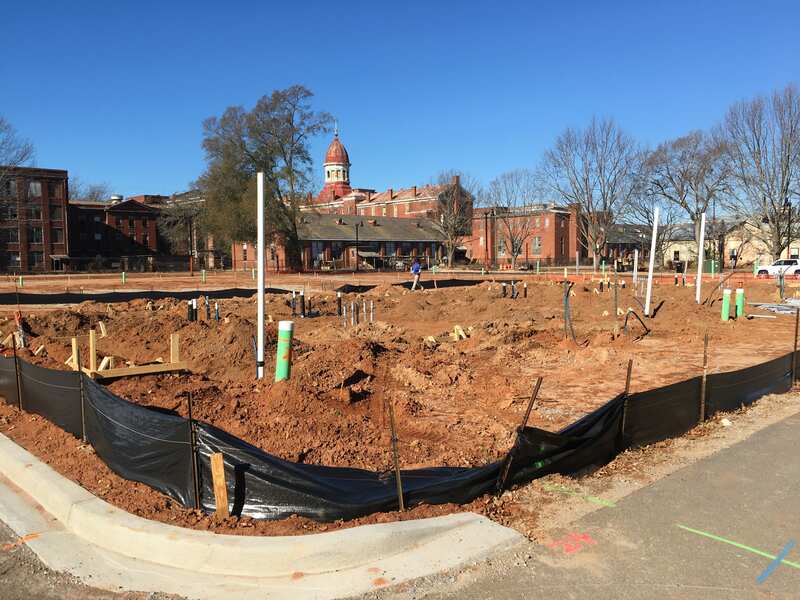 After months of planning and architectural review, Columbia’s newest town home project is off the ground and under construction. 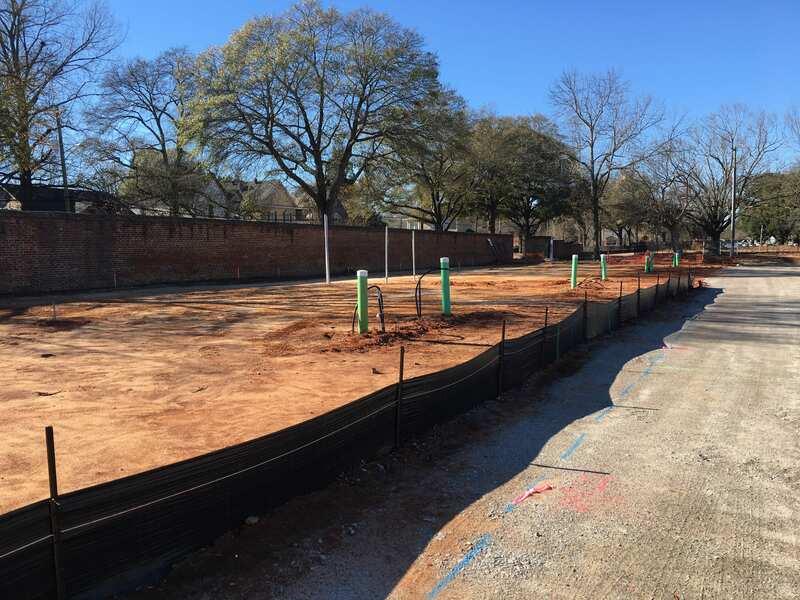 Coined TownPark at BullStreet, the development will consist of 28 all-brick town homes each with its own garage and rooftop deck, as well as a private park. Construction began in early 2018, and the first five town houses should be completed by June 2018. Building “C” will be the first three-story building to be erected and will feature upgrade options like elevators and integrated media plans. 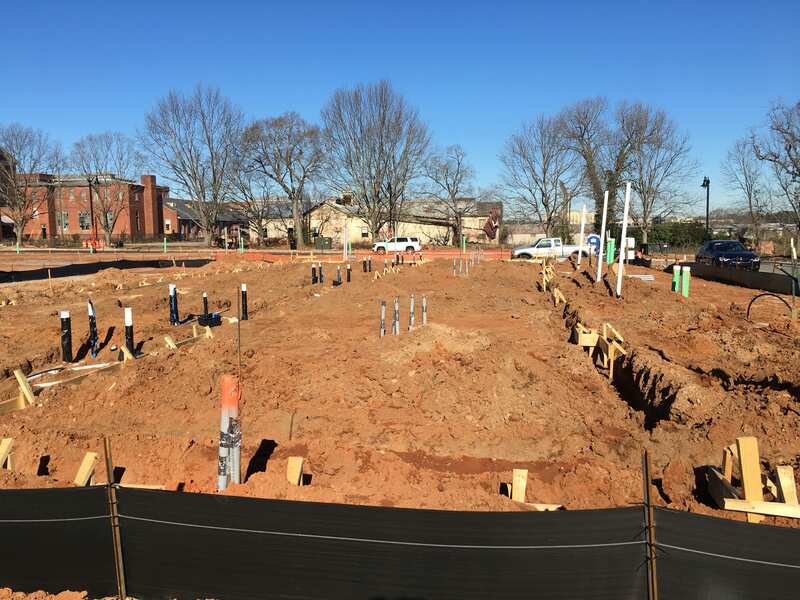 TownPark is the first for-sale residential project at BullStreet, Columbia’s largest urban redevelopment community conveniently located within one mile of the S.C. State House and USC. The 28 town homes for sale will consist of two- and three-story floor plans with prices starting in the 350’s. The aesthetic is classic-meets-modern with a brick exterior and contemporary higher-end finishes. More information can be found at www.TheMooreCompany.com/BullStreet. The Terranova Group, a Greenville, S.C.-based housing developer with extensive experience in residential development, chose The Moore Company to be the exclusive listing and marketing agency for TownPark at BullStreet. An entirely new downtown district conveniently located within one mile of I-126 and I-277, the 181-acre BullStreet neighborhood is home to Spirit Communications Park, awarded 2016 Ballpark of the Year by BallPark Digest and home to the Columbia Fireflies Minor League Baseball team (and new celebrity team member Tim Tebow). A perk for nearby residents and workers, the ballpark is open from 7am to dark each day as a public park with a 1/3-mile walking track around the concourse. Runners make the park a regular stop, and cross-fitters are often seen running the stairs in the stands for exercise. The BullStreet community also includes the First Base Building office/retail complex, the largest private office building built in Columbia since 2009. The First Base Building is home to a Founders Federal Credit Union branch and ATM; TCube Solutions, a member of Capgemini Group with hundreds of insurance technology consulting employees moving in later this year; as well as Ogletree Deakins law firm, who coordinates weekly visits from the Midlands’ favorite food trucks, open to the public. Historic renovations have been completed at the Parker Annex office building as well as the new Bakery at BullStreet building in the growing BullStreet Technology Village, home to the SOCO cowork and event space, where young professionals and innovators enjoy shared office space and social gatherings. Renovations are underway at the historic Ensor Building, where a restaurant and office will locate, and the Central Energy Facility will be the future home of the eclectic, energetic congregation of Downtown Church. Located in Columbia, S.C., The Moore Company is a boutique residential real estate firm delivering superior results for clients while fostering an innovative and inspiring environment for its sales team. The mission of The Moore Company is to deliver an exceptional experience for every client, every time, by stacking its team with the right people who embrace a culture of creativity, cohesiveness, and collaboration. On average, The Moore Company’s agents help clients sell their property 25% quicker than market competitors. Learn more at www.TheMooreCompany.com, and follow @TheMooreCo on Instagram and @TheMooreCompany on Facebook. Located within blocks of Columbia, S.C.’s vibrant downtown neighborhoods, the BullStreet neighborhood is a 181-acre, mixed-use redevelopment of the former South Carolina State Hospital campus, set for completion on a 20-year timeline with an anticipated $1.2 billion annual economic impact. Using a new urbanist, form-based code, master developer Hughes Development Corporation of Greenville, S.C., is working closely with other developers who possess deep domain expertise to create a city-within-a-city, filled with spaces that maintain the integrity of the historic district; mix commercial and residential uses; create a walkable and bicycle-friendly place; provide parks and open space; maximize economic impact and increase the City’s tax base; and connect to the Midlands community. BullStreet contains 125,000+ square feet of commercial/office and retail space and is zoned for up to 3.3 million square feet of commercial use and 3,553 residential units. For more information, visit http://bullstreetsc.com, and follow @BullStreetSC on Twitter, Instagram and Facebook.